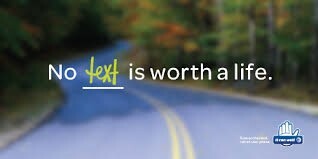 I hear from folks regularly about a problem I witness with my own eyes almost every day: distracted driving. We have all been there. Someone swerves into the wrong lane and catches themselves or fails to move when the light turns green and it turns out that the person is preoccupied with a cell phone. I jokingly refer to those people as being guilty of driving while texting instead of vice versa, as the road seems to be incidental compared to the important task of tapping on a phone. Sometimes it’s not so funny, however. Taking one’s eyes off the road can result in accidents and fatalities. It has affected many of us drivers, as we can’t just assume that the people with whom we share the road are actually paying attention to it. This problem has vexed me for many years, since cell phones became commonplace. It has led me to introduce legislation in the past, banning texting while driving and making distracted driving a moving violation. Thankfully, both were signed into law, but I have found that the laws are difficult to enforce. When drivers get pulled over for texting while driving, there is nothing preventing them from saying they were dialing a number. And, as there is no law against dialing, they drive off and continue to text without consequence. This new bill, LD 1089, simplifies things by stating that if a person is operating a car and a hand-held device at the same time, it’s illegal. No texting, no dialing, no picture taking and no game playing. Naturally, many of us need to stay connected, and this bill allows for responsible use of the hands-free function. It also permits communication with law enforcement or emergency responders. I do understand that communicating while driving is necessary at times, but there is a right way to do it, and the technology exists to talk and drive safely. For the first time concerning a bill like this, the Transportation Committee voted unanimously that it ought to pass. Likewise, the testimony during the hearing was entirely favorable and a representative from the American Automobile Association pointed out many of the important statistics: That use of a handheld device quadruples the chance of an accident, that the recent spike in accidents is directly attributable to cell phone use, that distraction contributes to 16% of all fatal crashes - leading to around 5,000 deaths every year and that teen drivers are distracted almost a quarter of the time they are behind the wheel. These numbers are sobering, to say the least. A bill like this should not be necessary. Common sense dictates that diverting one’s attention, even for a second, is not worth the potential for causing serious harm to oneself and others. Unfortunately, there are drivers who take this risk every day and endanger our safety. If this bill saves one life, it will have been well worth it.